Jeff has been going to dog shows from an early age, as part of a wider family involvement, when a Great Dane was bought as a family pet. Following a visit to local Paignton Championship Show it was decided to buy a ‘show’ Dane and take part in shows. 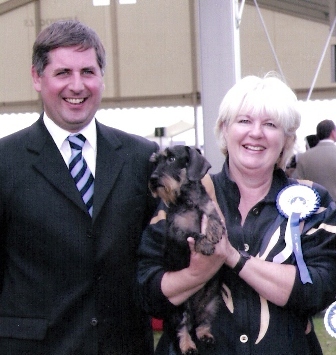 Open shows rarely put on more than one breed class, so Jeff would handle the ‘pet’ whilst Ann the ‘show dog’, with Jeff invariably doing better. Ann’s Auldmoor Great Dane kennel has gone on to produce a steady stream of Champions, starting with Ch Oldmanor Manthem of Auldmoor. Jeff also handled Ch Auldmoor’s Almost An Angel to her title. During this period Jeff took part in junior handling and in 1973 was runner up in the national finals. However, if the Dane decided to leave the ring it would do so, and so Jeff decided to try something a bit smaller, and it was decided Miniature Wire Dachshunds would fit in well, as Zena had recently added them to her Irish Wolfhound kennel. In fact Zena & Jeff have now been partners for 36 yrs! His first Champion was Ch Drakesleat Yogie Bear, co-owned with breeder Zena, a further 20+ Min Wire Champions have followed, including 3 Crufts BOB winners and the group winners, Ch Drakesleat Toot Sweet, Ch Drakesleat Knot Likely, Ch/Jap Ch Drakesleat JP Baro Trier & Ch/Jap Ch Drakesleat JP Trier Winshoten. Jeff has a separate interest in the Drakesleat affix. 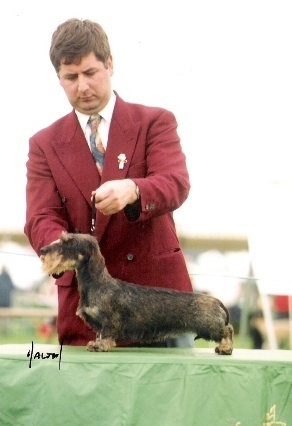 One of his latest male Champions "Winshoten" has won Best in Show at the prestigious Great Joint Dachshund Assoc, & the Wire Clubs' annual show, the Hound Group at Boston 09, & Dachshund of the Year in 2009. 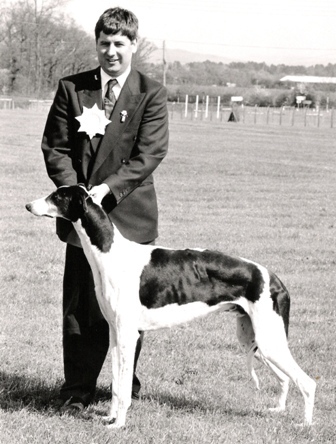 Jeff has always had an interest in many breeds, and when offered a promising young Greyhound owned by Zena, bred by the famous RP kennel leapt at the chance, Ch Royal Permission of Drakesleat being the final RP UK title holder. 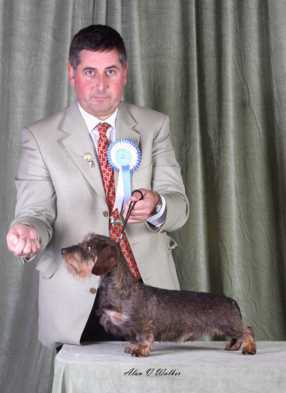 In more recent years Jeff has enjoyed much success with his 2 Field Spaniels. Sh Ch Coralmist Clansman of Drakesleat won 14 CCs along with a group placing, after a year out of the ring along came Sh Ch Coralmist Crescendo for Drakesleat, who has 12 CCs at just 4 years of age. 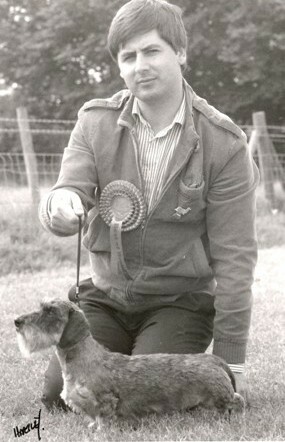 Jeff first judged in 1982, and awarded his first CCs in 1989, these were for Wire & Min Wire Dachshunds. 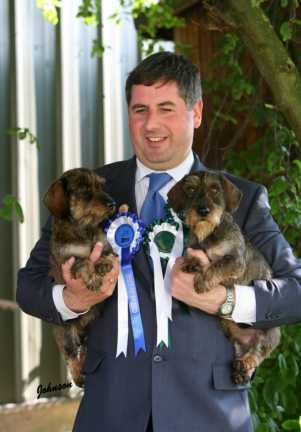 He judged Min Wires at Crufts in 2000, his first Hound Group in 2000 and his first Championship Best in Show all breeds in 2003, he is due to judge the Hound Group at Crufts in 2016.. 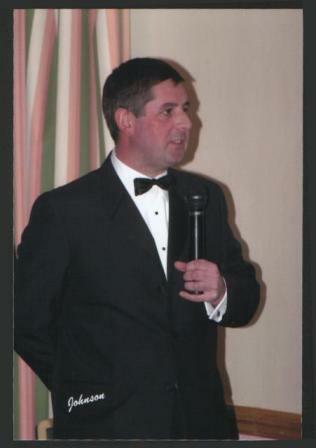 He is currently the youngest person in the UK approved to judge BIS at Championship level. Jeff is approved to award CCs in over 100 breeds across all the groups.